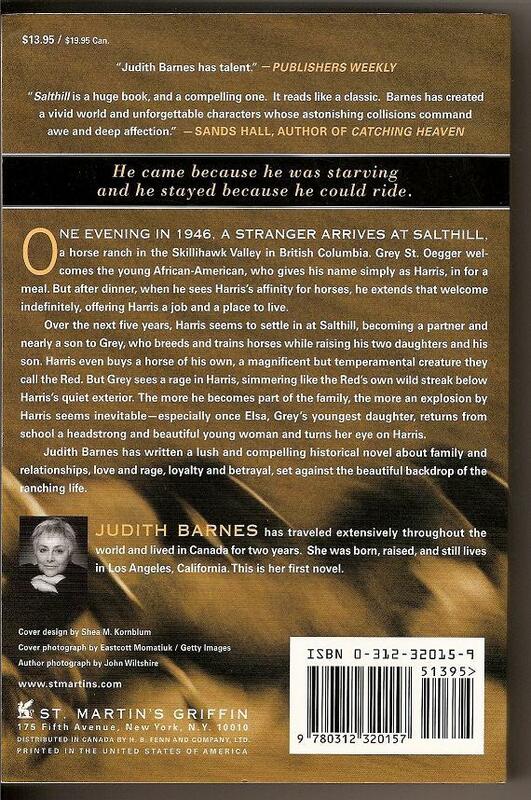 One evening in 1946, a hungry stranger joins the family at Salthill, a horse ranch in the Skillihawk Valley in British Columbia. Grey St. Oegger welcomes the young African-American, who gives his name as simply Harris, in for a meal. But after dinner, when he sees Harris's affinity for horses, he extends that welcome indefinitely, offering Harris a job and a place to live. Over the next five years, Harris seems to settle in at Salthill, becoming a partner and nearly a son to Grey, who breeds and trains horses while raising his two daughters and his son. Harris even buys a horse of his own, a magnificent but temperamental creature they call the Red. But even Grey sees a rage in Harris, simmering like the Red's own wild streak below Harris's quiet exterior. None of the St. Oeggers know much about him or what he really wants. For the more he becomes part of the family, the more an explosion seems inevitable-especially once Elsa, Grey's youngest daughter, returns from school a headstrong and beautiful young woman and turns her eye on Harris. 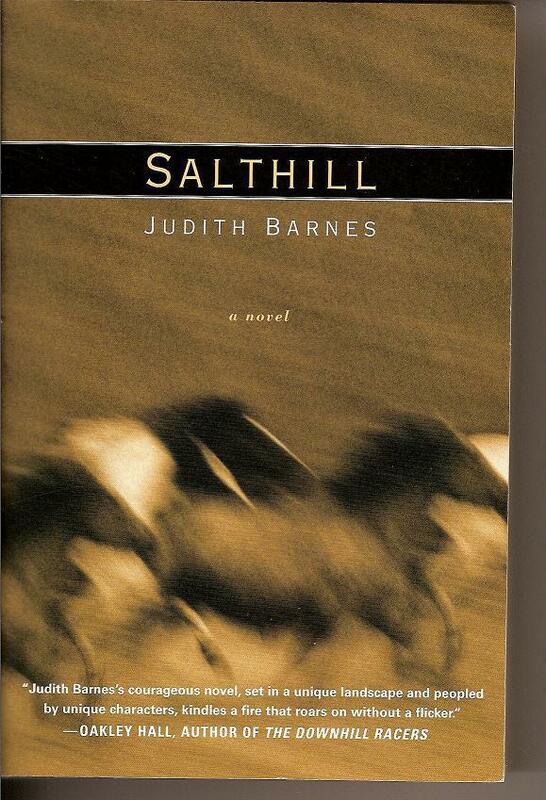 Judith Barnes has written a lush and compelling historical novel about family and relationships, love and rage, loyalty and betrayal, all set against the beautiful backdrop of the Canadian wilderness and the ranching life. Condition: Condition: Like-New, just stored for several years and also has black marker dot on top edge. Book has never been read.